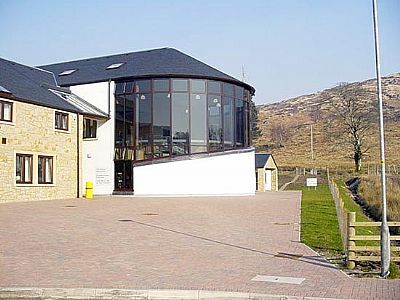 Ardnamurchan High School is a 12-18, S1-S6 comprehensive, non-denominational school for the communities in Ardnamurchan and Morvern. The school first opened its doors in August 2002 and its current roll is approximately 108. The school’s catchment area includes Kilchoan, Acharacle, Strontian, Lochaline, and Ardgour primary schools. Most pupils are within daily travelling distance of the school. However a small number of pupils from the Kilchoan and Drimnin community areas do require to board in the residence. This is an area of exceptional beauty and character with a widely dispersed population. The villages of Acharacle (population c.560) and Strontian (population c.350) are the main centres of population. Services and tourism account for 48% of the local jobs and primary activities of 31% reflects the growth in fish farming. The area has a rich history and cultural heritage which gives it a unique identity in the West Highlands. 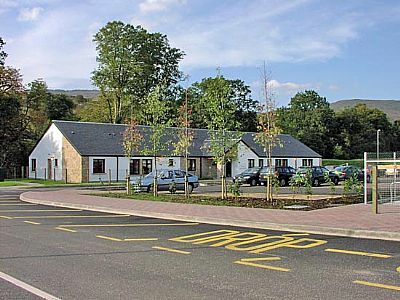 The school is in the village of Strontian – an important service and tourism centre approximately 15 minutes from the Corran Ferry which is one of the gateways to Ardnamurchan and Morvern. The award winning development of the village core in the 1970s has enhanced the village with a layout and design which is now part of its character and appeal. The village is also famous for giving its name to the element Strontium in the eighteenth century when first discovered. The school has been constructed through the public private partnership initiative (PPP) with a number of investors in partnership with the Highland Council and is owned by Community Schools Highlands. In general terms, MITIE have the responsibility for the building, maintaining the school and for the supply and maintenance of specified school equipment. Department equipment has been provided through the normal channels. A janitorial team employed by MITIE are responsible the day to day maintenance of the building and are very much integral to the school team.